In Adobe XD it’s very easy to combine basic shapes in order to create more complex ones, by using the combining options located in the property inspector, also called “Boolean Operators”. • Exclude overlap: The resulting object is basically the opposite result of the “Intersect” operation, where the new shape is made of the areas of the 2 shapes that do not overlap. 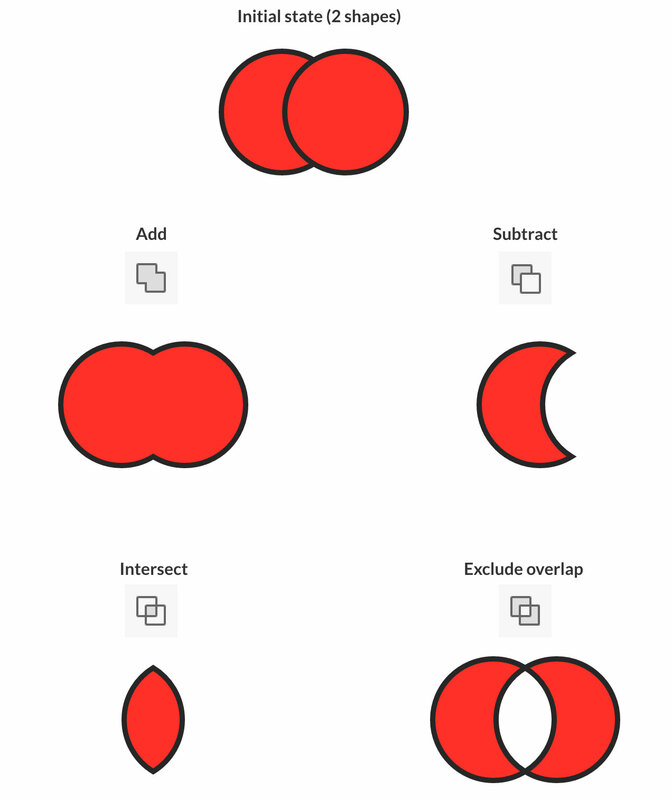 When you combine some shapes, the result will be also reflected in the layers panel: every shape combination will represent a specific type of layer, which can be easily modfied.